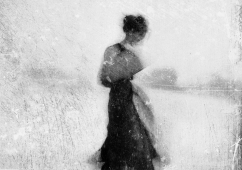 Donata Wenders was born in Berlin in 1965. She studied Film and Theatre in Berlin and Stuttgart from 1984 to 1989. After working for various film productions as a camera assistant and shooting films as a cinematographer for several years, she decided to concentrate on the photographic image. 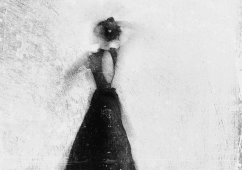 Donata Wenders has been working as a photographer since 1995. Over the years she expanded her photography from the movie set to a body of her own approach. In 2006, Prestel published her book “Islands of Silence”, presenting a wide selection of her work. 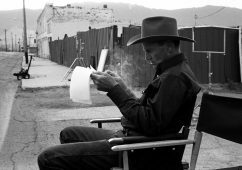 Donata Wenders has also published several books together with her husband Wim Wenders such as: “ Don’t Come Knocking”, “ The Buena Vista Social Club” and “ The Heart is a Sleeping Beauty”. Her photographs have been published internationally in The New York Times, Vogue, Egoiste, Marie Claire among others. 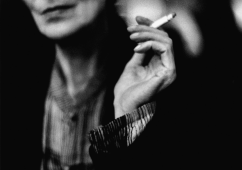 Donata Wenders lives and works together with her husband in Berlin.